The book traces the bad blood between the schools and the states to the Civil War and before. It revisits the early years of the rivalry. It examines how Missouri coach Gary Pinkel and Kansas coach Mark Mangino built Big 12 doormats into championship-caliber teams. It deconstructs the deal that was struck to move the 2007 game to Kansas City, Mo., denying the Jayhawks the opportunity to host the biggest game in program history. 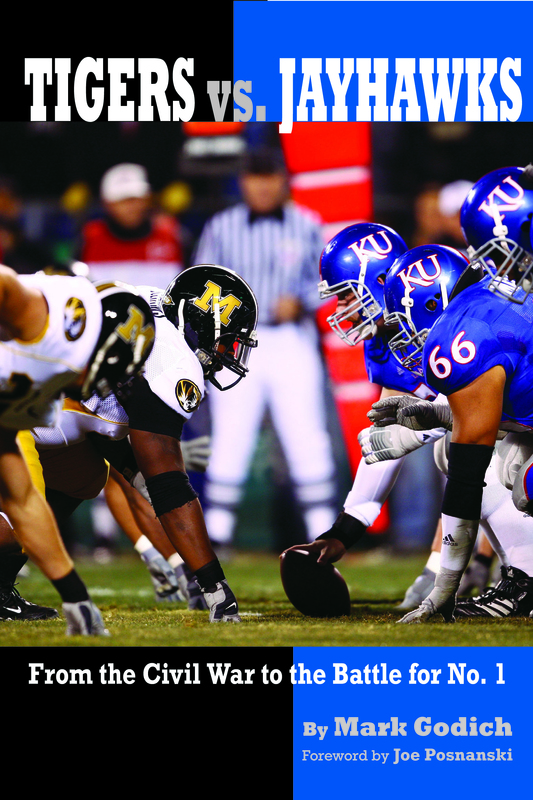 It explores the Orange Bowl’s head-scratching decision to invite Kansas over Missouri. Most important, this book takes the reader inside Arrowhead Stadium, inside the locker rooms, inside the huddles, inside the headsets, inside the heads of the players and coaches. Available from www.ascendbooks.com. Ascend book titles are also available on all popular e-book platforms including iPad, Kindle and Nook. Mark Godich has been a senior editor at Sports Illustrated since 1995. In 2007, he was the magazine’s college football editor. A graduate of the University of Missouri’s school of journalism and a former instructor there, he started his career at the Abilene (Texas) Reporter-News. Before landing at Sports Illustrated, he also made stops at the Dallas Times-Herald, The Associated Press, The National Sports Daily and Golf Shop Operations. He lives in Plainsboro, N.J., with his wife, Leigh, and son, Steven. FWAA members: Tell us about your books. Information here.